The Karachai people are a testament to mankind’s will to survive. Their history includes being driven into the Caucasus Mountains by invading Mongols, forcible conversion to Islam, revolts against Russia, occupation of their homeland, and deportation to Central Asia. If God did not have a plan for the Karachai, they certainly would not have persevered through these and other violent acts. But He does have a plan and many Karachai have now returned to their homeland in the Russian province of Karachai-Cherkessia. As a people group the Karachai are proud, but demoralised; spiritually they are lifeless with little interest in anything beyond immediate physical needs and family honour. Pray that the wind of God’s Holy Spirit would blow there, drawing the Karachai to Him. For God plan for them is not in vain after all this time. May their hearts be opened. A new religious law was recently passed in Russia. It limits sharing about faith to specially authorized people of registered religious organizations only in buildings registered for religious purposes. Pray for boldness for all believers to obey God more than men and for safety. Modern society is characterised by the replacement of reality for virtual-reality. Those most prone to this phenomenon are teenagers who spend a lot of time on the Internet and social networks. To help return to real life and to real values, in February the students of OM Russia’s training centre organised and hosted a conference with the title ‘Friendsoffline’. Free from the influence of all social networks and the Internet for the duration of the event, the teenagers enthusiastically participated in workshops that addressed topical issues such as the influence of movies and the Internet on their lives. During the Sunday morning service, the message centred around friendship with God - a topic which touched the hearts of the listeners and helped some of them come to repentance and accept Jesus Christ as the Lord of their hearts. Due to the ongoing crisis in Ukraine, many refugees have entered Russia and are spread out around the country. In Novosibirsk, Siberia, where OM Russia is located, several summer camp bases are now used temporarily to house refugees forced to leave their homes with nothing. Several OM Russia members, in partnership with a local church, have visited a few of these bases to offer practical help and run a programme for the children. Relationships have been established, and together with local churches, they continue to help refugees rebuild their lives. OM EAST has produced a new booklet that brings a message of hope to women working in prostitution. The booklet, Carrie, shares the true story of a young woman who ended up as a strip dancer and how she found freedom from this damaging existence. A Christian organisation helped Carrie leave this form of slavery and rebuild her life; while receiving practical support and counselling, she was told about Jesus for the first time. Carrie discovered His power to heal, restore and renew. Through faith in Christ she found new hope. As Carrie’s story is a powerful means of speaking into the lives of women who can identify with her past, pray that the new booklet, also being printed in a number of other Central and Eastern European languages, will be widely used for women enslaved in this exploitation. The Nenets, more commonly called 'Reindeer herders', are an indigenous people group living on the Yamal Peninsula in northern Arctic Russia. A nomadic people, they retain most of their historic animistic beliefs, despite a veneer of Roman Orthodoxy. As the Nenets celebrated the Reindeer Festival on 13th April, local partners took the opportunity to distribute copies of My First Bible to the Nenets children. This is one of very few Christian books written in the native language of Nenets. “It was such a joy for me to see how willing the children were to accept the children’s Bibles; they started reading straight away," said one local partner. "As a result of this outreach, some ladies have asked me to get more books for their neighbours and relatives, and a teacher asked me to bring books for her pupils in a town 80 kilometres away." Praise God for the positive response and pray that God’s Word would speak to the Nenets children and their families in a special way. 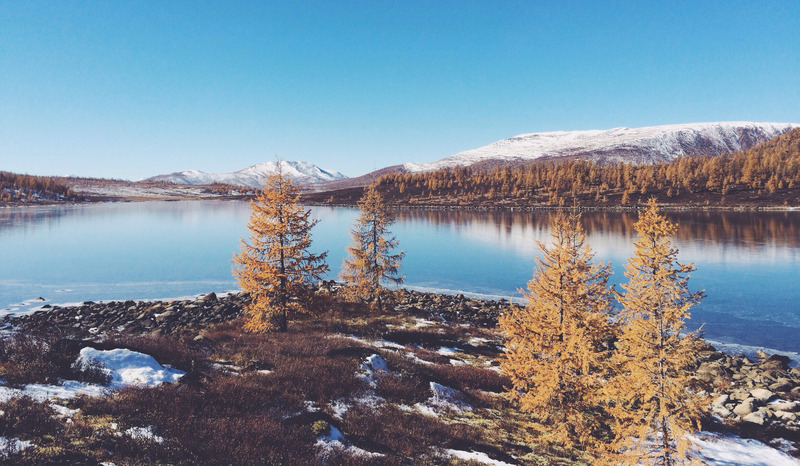 The Siberian Christian Mission of Mercy (SCMM) works amongst the remote communities along the Yenisei River, the central of the three great rivers that flow into the Arctic Ocean. SCMM serves the region’s historic people groups such as the Dolgans. Because of their isolation, many of these peoples still have their own unique language and culture. So far several small churches have been planted. Pray for these churches to grow and for the safety of SCMM’s committed workers and their families, who occasionally face violent opposition. Just two decades ago, Russia was at the forefront of a global belief-system which, at its heart, denied the very existence of God. That there are born-again believers in the country today is a direct result of prayer. However, the legacy of Communism often means that those who do come to Christ have limited access to the training and resources they need to grow in their faith. Pray for the ongoing discipleship of these believers. Pure View was founded in the Siberian city of Krasnoyarsk by a group of Christians who were passionate about improving the quality of life of people living with HIV - both within the church and in the wider society. Tackling stigma in the church through theological training and raising the awareness of pastors is a key part of this aim. In the past, pastors would openly condemn people with HIV as ‘more sinful’ than others, or refuse to marry couples where one of the partners was HIV positive. Although the situation is slowly improving, challenging convictions takes a long time. Pray for the ministry of Pure View as they work to help churches in the Siberian region to see the needs of people around them, understand their problems and respond with love. Like thousands of other Uzbeks, Ona (name changed) moved to Novosibirsk, Russia, in search of better-paid work. There, she not only found work; she also found Jesus, through the friendship of two church-planters working to establish an Uzbek fellowship in the city. While attending house church meetings, Ona grew in faith. Last year, she returned home and was baptised by a local pastor. Two of Ona’s relatives have since come to faith and Ona also plans to ask a few of the senior women in the church to visit her mother. A recent Russian government report estimates that 14,000 Russian women are killed every year by partners or other family members. However, many independent observers consider these numbers to be a gross underestimate. Drug abuse, alcoholism, poverty and poor living conditions are all major contributors but the root cause of the violence often lies deeper, embedded in the unequal relations between Russian men and women. Many Russians consider a woman’s place to be at home and blame the victims for provoking the attack. Pray for the victims of violence in Russia. Pray that they will be able to feel God’s compassion, love and new hope in a future free from violence. Pray for the Russian government and churches to take the issue of domestic violence seriously and for Christians in Russia to be effective advocates for change and witness to God’s redemptive power. Drugs flooded Russia after the Iron Curtain fell. At the same time, organised activities for young people disappeared and social spending was slashed. Russia is still battling the ensuing drugs epidemic. Each year some 30,000 people die from narcotics abuse and more than 2 million Russians are registered addicts. The free Salvation programme balances the needs of body, soul and spirit: through sport, farming and other manual work, Bible study, counselling and skills training. After completing a first stage of recovery at the centre, participants are linked with a local church where they learn to serve others. Pray for those currently undergoing rehabilitation at the centre, that their addictions may be overcome, so they can enjoy His peace and comfort. Pray too for Russia’s young people: ask for preventative measures to deter them from entering the self-destructive world of drugs. Almost 1% of Russia’s population of 142 million people is in jail. Approximately 350,000 prisoners are released every year - many of them have tuberculosis, hepatitis and HIV. Light of Life has a small team in the Perm region of Russia, where 46 prisons house 32,000 people. As well as providing education classes, so far they have trained 1,500 inmates to offer health advice in Russian prisons. Pray for these trained prisoners, many of whom have experienced the healing of Christ from their addictions, and for good relationships with prison authorities. The small republic of Chuvash is located in the centre of the European part of Russia. In the capital, Cheboksary, the churches there are combining proclamation of the gospel with demonstration of the gospel. They are working hard to make Christian radio programmes that reach their local community and also run a number of social outreach projects, including a rehabilitation clinic for alcoholics. Many alcoholics have become Christians, and now help others in the same boat to find faith in Christ. Pray for the funds to grow this work and for the new home-grown missionaries who are being sent out to other parts of Russia. There are thought to be almost 700,000 orphans in Russia. Many children live in orphanages or on the street and many more Children live in families that are dysfunctional or unhealthy. Neglect and abuse can ultimately lead to future generations becoming orphans too. Praise God for the work of the Russian Risk Network. By equipping and encouraging Christians to work with orphans, adopt or become foster families, they aim to give these children families that they can belong to.